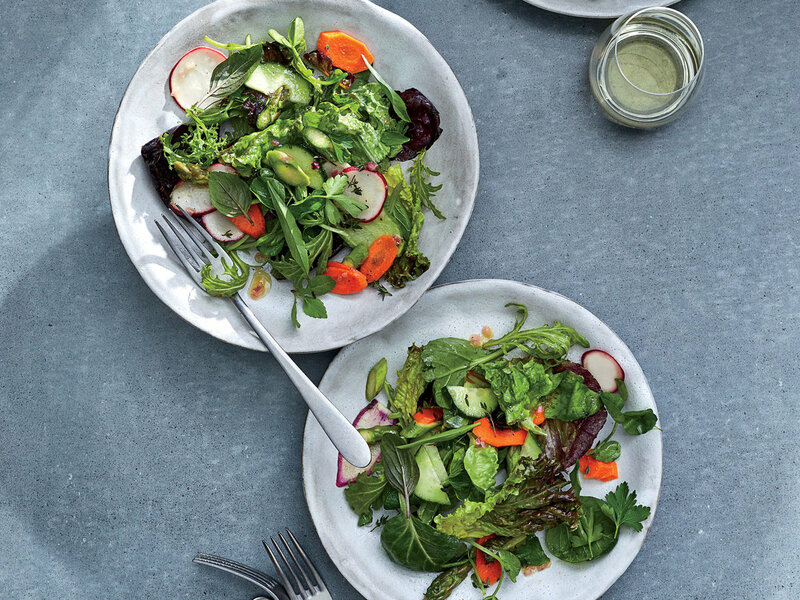 A classic green salad—one featuring crisp lettuces and raw seasonal vegetables tossed with a barely-there vinaigrette—elevates any meal. 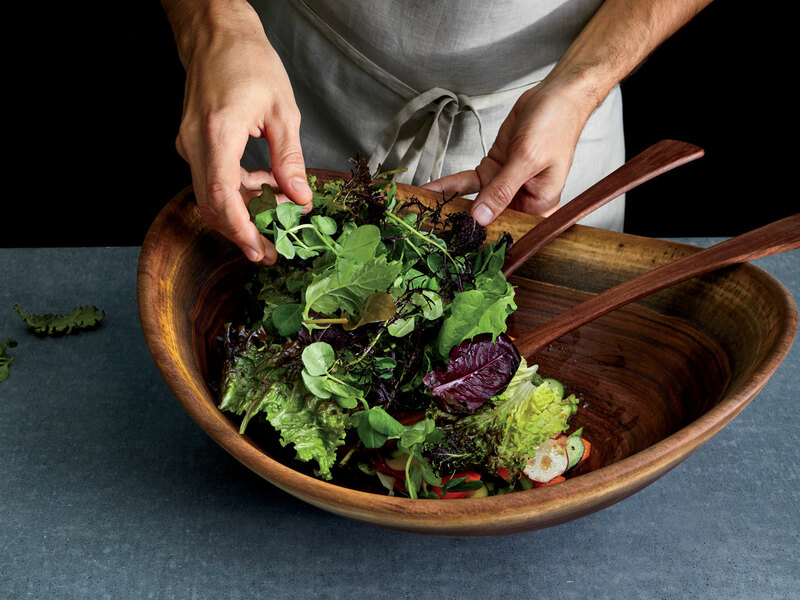 The trick to serving a properly dressed, not wilting salad is in the technique you use to build it, starting with the dressing, preferably using a large wooden salad bowl. (We’re partial to this satiny black walnut one from Andrew Pearce, but any wooden bowl broad enough to prevent flyaway leaves will do.) 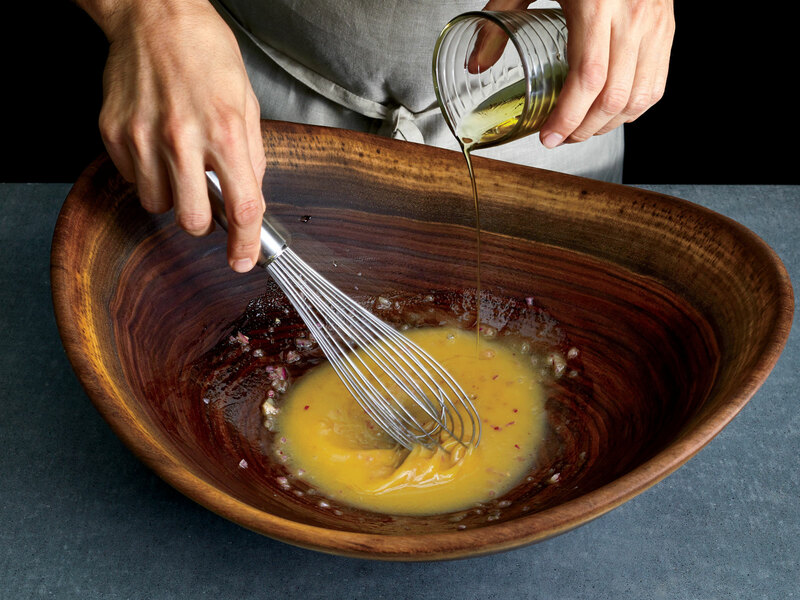 Begin with the acids: For balance, use at least two vinegars or citrus juices. Add a drizzle of honey or pinch of sugar—the sweetness will help balance the acids’ bite. Finally, rapidly incorporate the oil to form an emulsion. 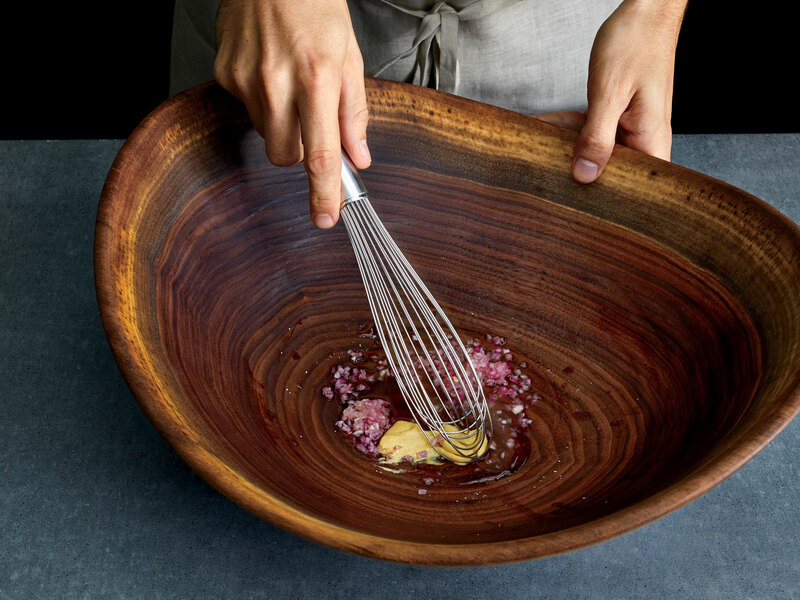 For best flavor, use a mix, such as grapeseed plus a good olive oil or a nut oil, such as walnut. 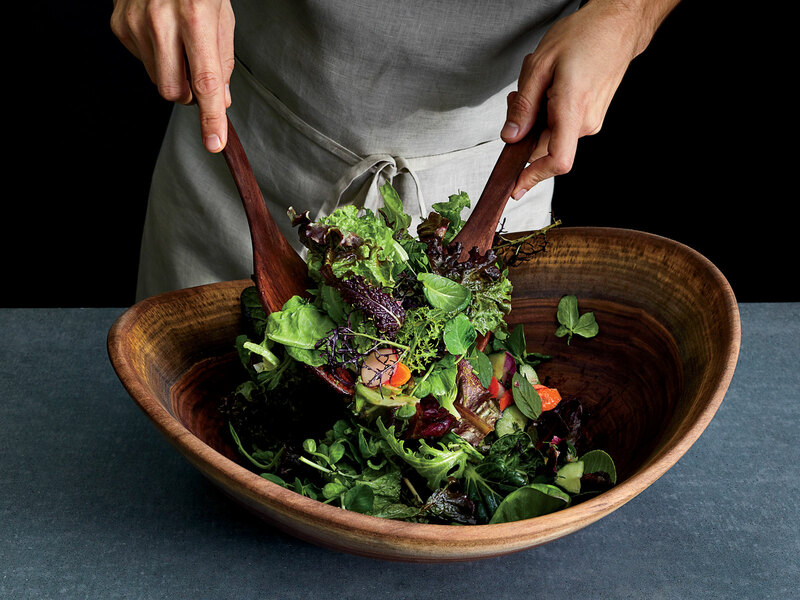 A properly emulsified vinaigrette will suspend the acids and seasonings in the oil, coating each lettuce leaf without weighing it down. Toss just before serving using the trick in step 5. 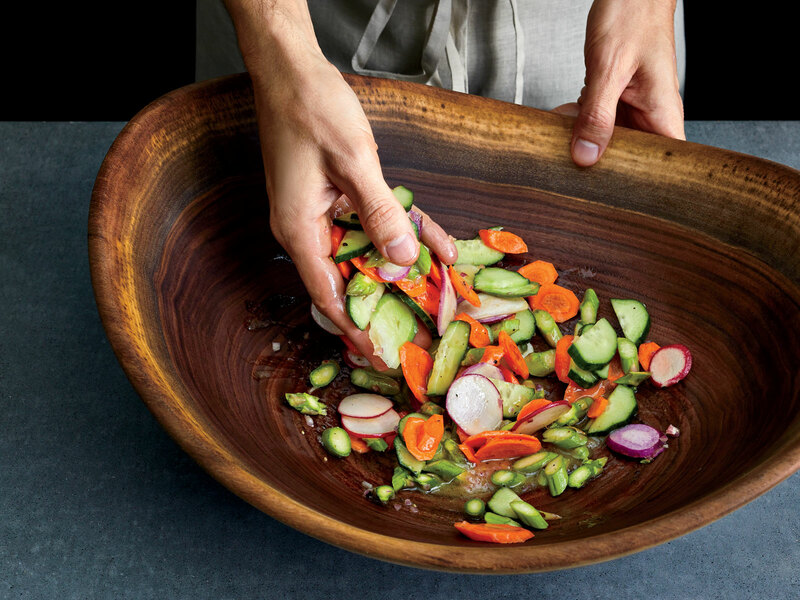 Add sliced hard vegetables such as radishes and carrots to bowl with dressing; toss to coat. 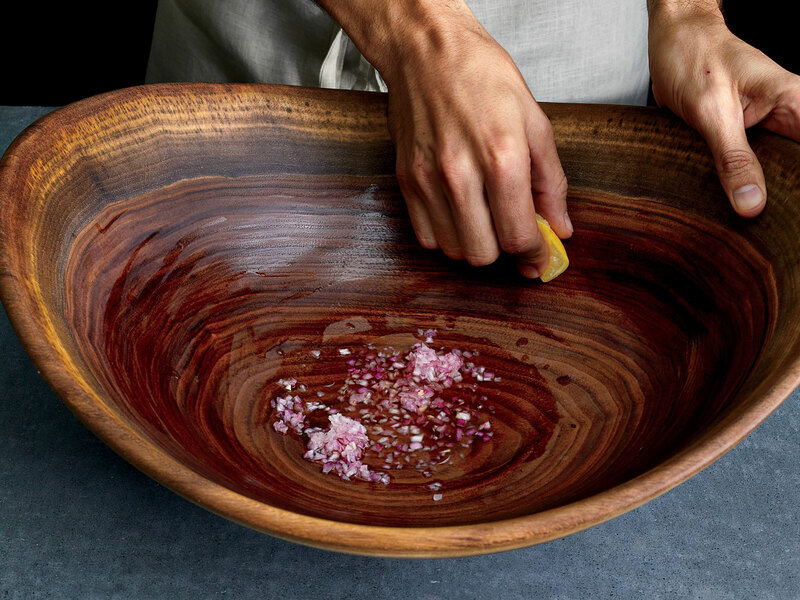 Taste and adjust seasoning with more vinegar, lemon juice, or salt.